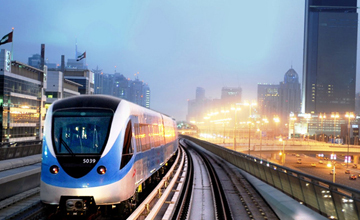 The Dubai Metro is a world-class, fully automated, driverless railway system. The metro was constructed and delivered in two stages, the red line (stage 1) and the green line (stage 2). 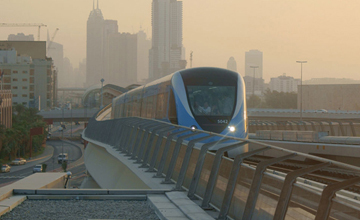 In the congested central areas of Dubai, the metro lines are mainly underground. The Red Line is one of the two lines of the Dubai Metro network in Dubai. 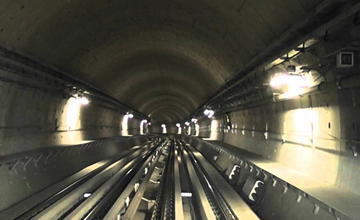 This line is 52.1 km long, out of which 4.7 km is underground with four stations. 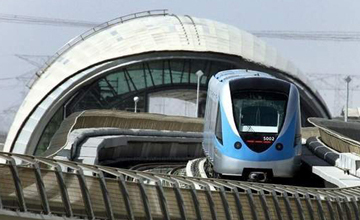 It runs from Al Rashidiya to Jebel Ali and travels along the Sheikh Zayed Road for most of its length. 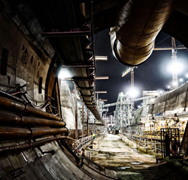 Encardio-rite was awarded the instrumentation and monitoring work for the underground sections. The scope of work included the supply of instruments, installation with drilling, monitoring, surveying and data analysis with daily, weekly and monthly reporting. 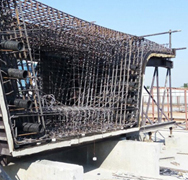 The work commenced in May 2006, with the deployment of about 20 experienced engineers, team leaders and project managers who were stationed in Dubai for the execution of these services. The project was successfully completed in 2010. Inclinometers for diaphragm walls and sub-surface monitoring around stations. 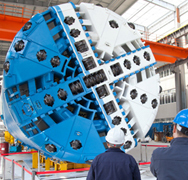 Magnetic extensometer for subsurface settlement monitoring around stations. Crack meters, tilt meters and building settlement points for structure monitoring. Pavement and ground settlement markers for monitoring surface settlement. Compression load cells for struts. Spot weldable strain gages for strut monitoring. Portable readout units with accessories including cables, switch/junction boxes, etc. 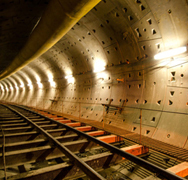 Encardio-rite was again awarded the instrumentation and monitoring work for the underground sections of the Green Line on a turnkey basis. The scope of work included the supply of instruments, installation with drilling, monitoring, surveying and data analysis with daily, weekly and monthly reporting for the geotechnical and geodetic instruments. The Green line is an underground line of 7.9 km with 6 stations. The work commenced in April 2007 and was successfully completed in 2011. The team was increased at Dubai to cater to both the Red and Green lines simultaneously. The instrumentation plan for the Green line was similar to that of the Red line. For the Green line, Encardio-rite also successfully executed the monitoring work of some overhead portions including Jafza Limitless, where soil conditions required close monitoring.